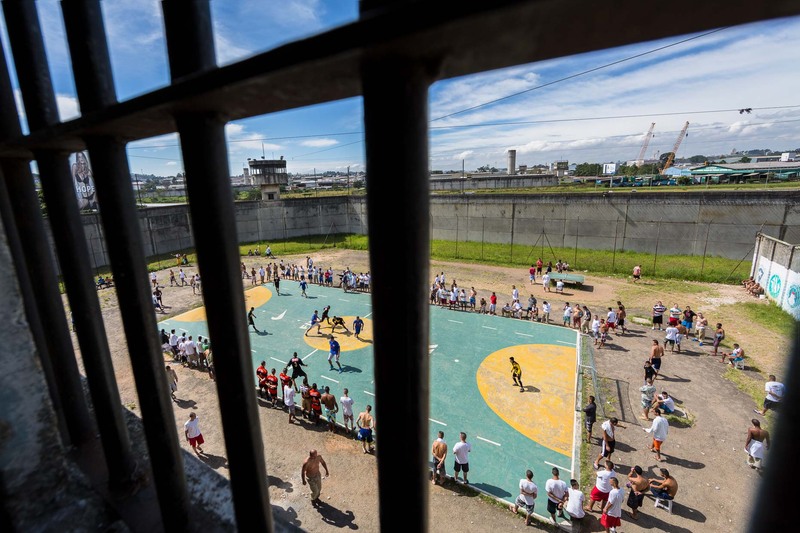 Inside the Adriano Marrey prison close to Sao Paulo's international airport, this high security penitentiary holds some 2400 inmates, 1100 more then it's official capacity. Prisoners play a football tournament closely watched by guards as well as lingerie models. This forms part of the privileges for good discipline. Those incarcerated are usually for offences related to drug trafficking, murder, and other violent crime. If discipline is not maintained they lose the right to football in the yard, Guarulhos.